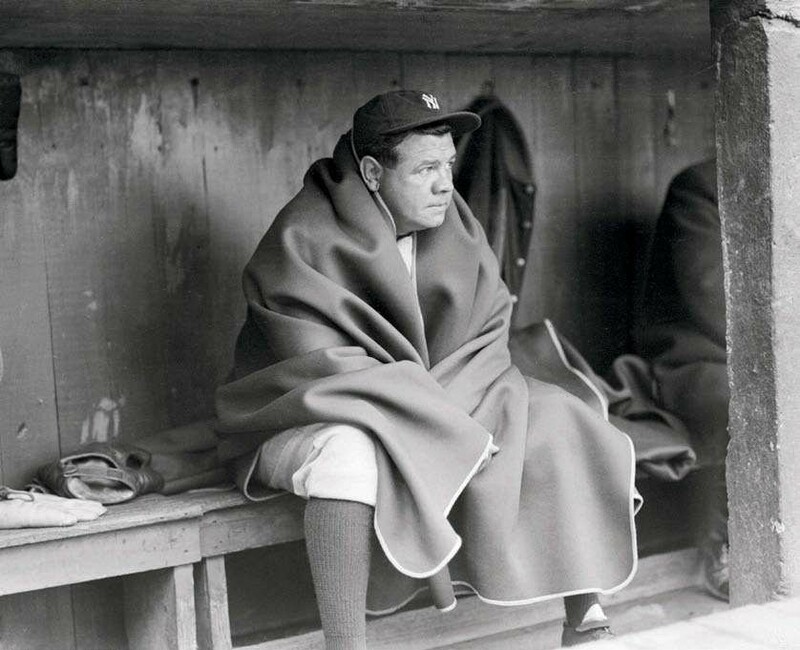 Ruth in the dugout at Ebbetts Field before a game against the Dodgers. 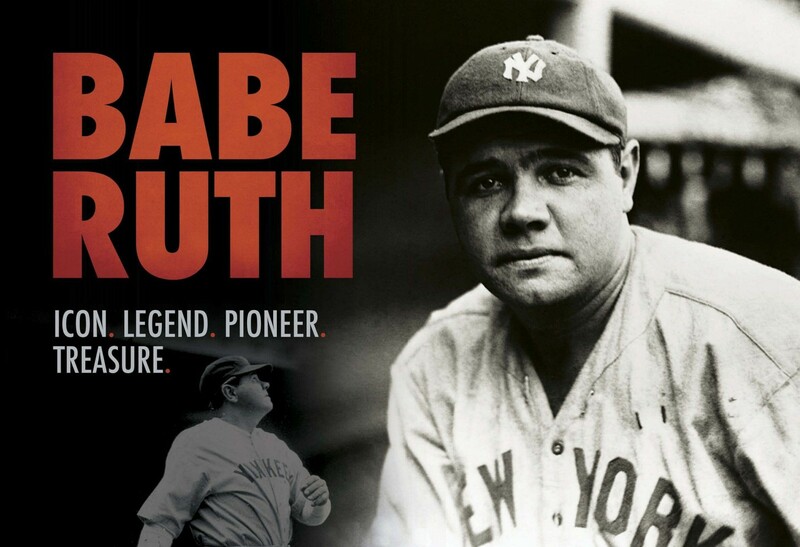 Nearly a century has elapsed since Babe Ruth joined the New York Yankees and transformed baseball, burying the dead-ball era and inspiring our enduring love affair with the home run. A century from now, in a sport or hobby that perhaps hasn’t even been invented yet - maybe an e-sport or augmented-reality competition, or (fingers crossed) jetpack racing - the best player’s exploits will be hailed as Ruthian and that man, woman or cyborg will be crowned as the Babe Ruth of that discipline. 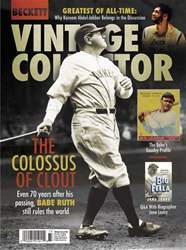 The New York Times called Enrico Caruso “the Babe Ruth of operatic tenors,” and Time magazine referred to 1940s-era criminal Willie Sutton as “the Babe Ruth of bank robbers.” Sir Don Bradman of Australia was “the Babe Ruth of cricket” and Doyle Brunson is “the Babe Ruth of poker.” Even Michael Jordan was dubbed “the Babe Ruth of basketball” by Chicago Bulls owner Jerry Reinsdorf. The list goes on and on … and it will continue to go on and on. 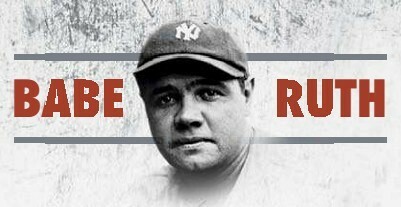 George Herman Ruth’s most famous records have since been broken, yet no one is ever referred to as the Barry Bonds or the Hank Aaron of anything. So, what is it about “The Bambino” that continues to fascinate us? Why does he remain so deeply entrenched in American culture nearly 125 years after his birth and more than 70 years after his death? 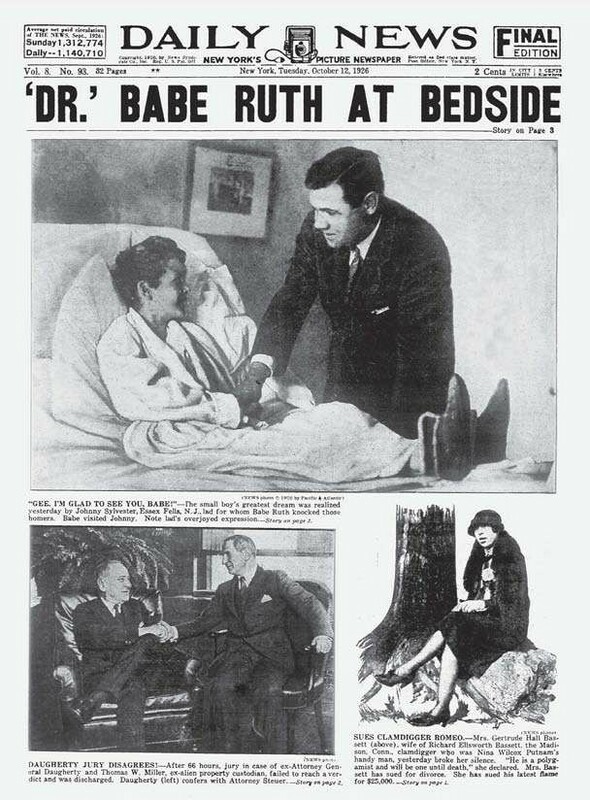 Yes, The Babe really did visit kids in the hospital.